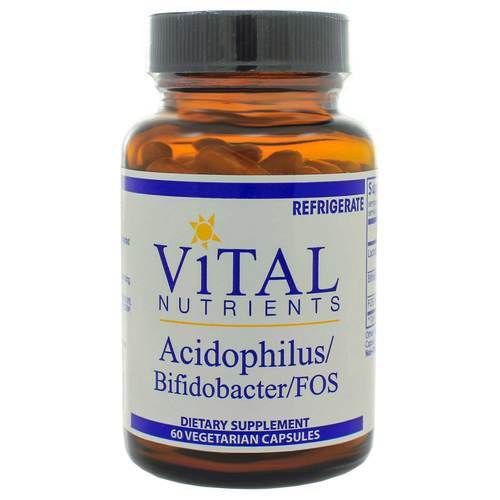 Acidophilus/Bifidobacter/FOS is a combination of two bacteria and FOS (fructooligosaccharides), a naturally occurring indigestible sugar that maintains the growth of normal gut flora. 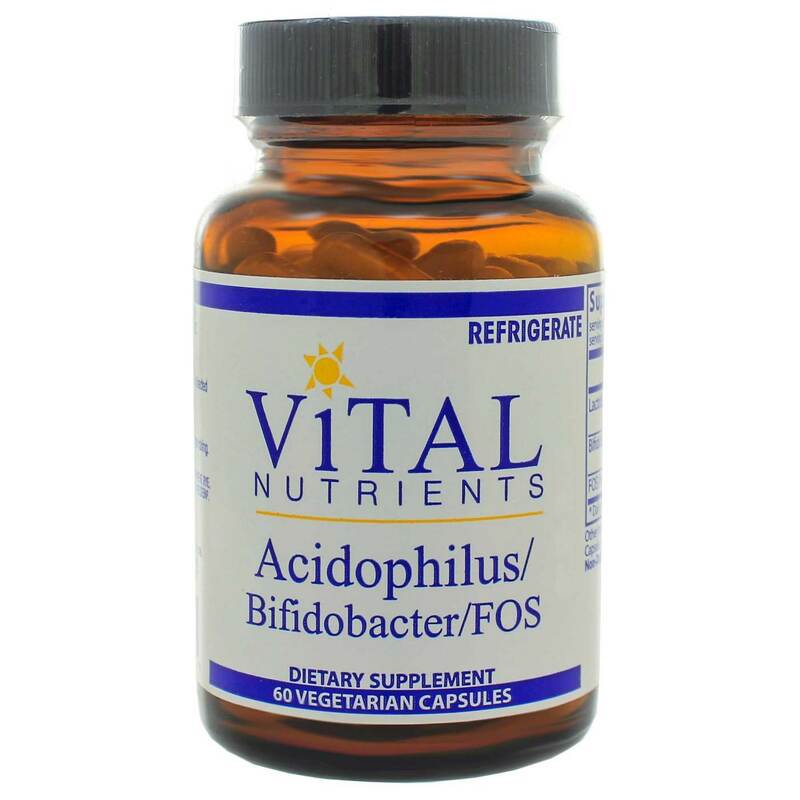 This product promotes healthy digestion, breakdown of food, a healthy environment in the intestines, and may also maintain normal vaginal flora. 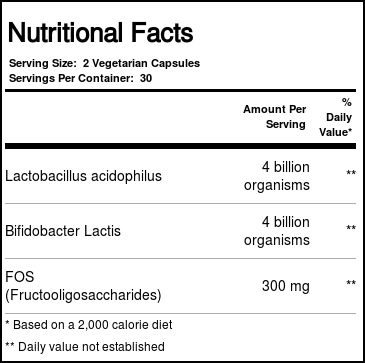 This formula is dairy-free. Notes: Store refrigerated. Keep out of reach of children. Use only if safety seal is intact.